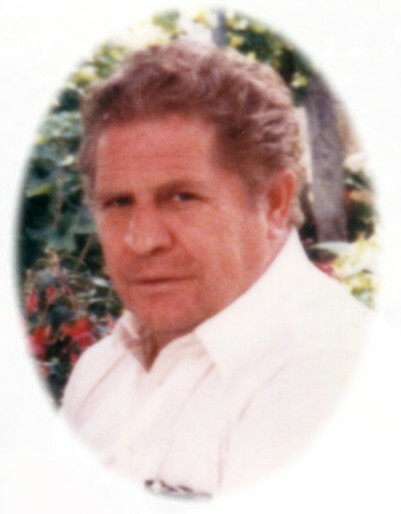 Passed away peacefully on Wednesday, July 11, 2012 at the Ross Memorial Hospital, Lindsay in his 77th year. Beloved husband of the late Francoise Jeanne Majeste (2010). Loving father of Eveline Evans (Donnie Cruess), Roger Majeste (Shirley), Peter Majeste (Connie), Jacquie Majeste (late Frank Crowell), David Majeste and Petta Young. Grandfather of seven grandchildren. Great grandfather of ten great grandchildren. Hoss will be sadly missed by all who knew him in Canada and Germany. The family will receive friends at Parker Funeral Home and Cremation Centre, 19 Moose Road, Lindsay on Friday, July 13th from 12:00 pm until time of funeral service in the chapel at 1:00 pm. Reception to follow. Interment to take place at Riverside Cemetery, Lindsay. In lieu of flowers, in memorial donations to the Ross Memorial Hospital Foundation would be appreciated by the family and can be arranged by Parker Funeral Home, 705-324-1988. Online condolences and donations may be made at www.parkerfuneralhome.ca.